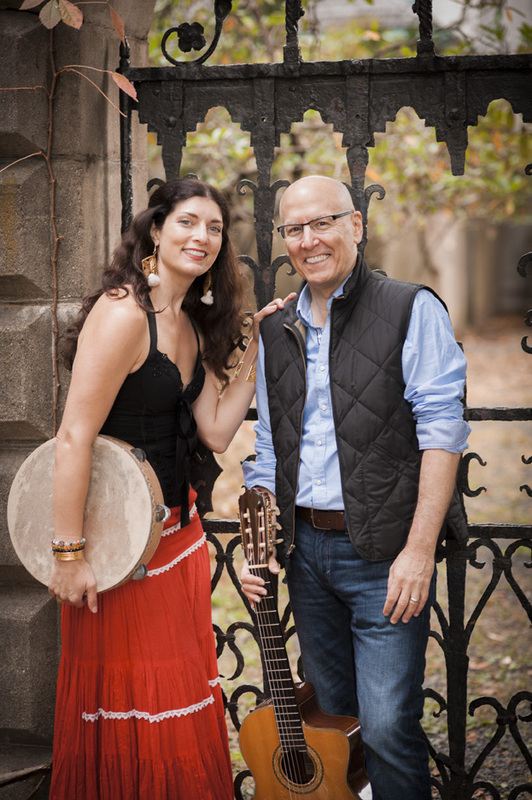 Multifaceted guitarist Joe Ravo and multi-instrumentalist and singer Allison Scola created Villa Palagonia, an ensemble that calls upon their southern Italian roots and American know-how. 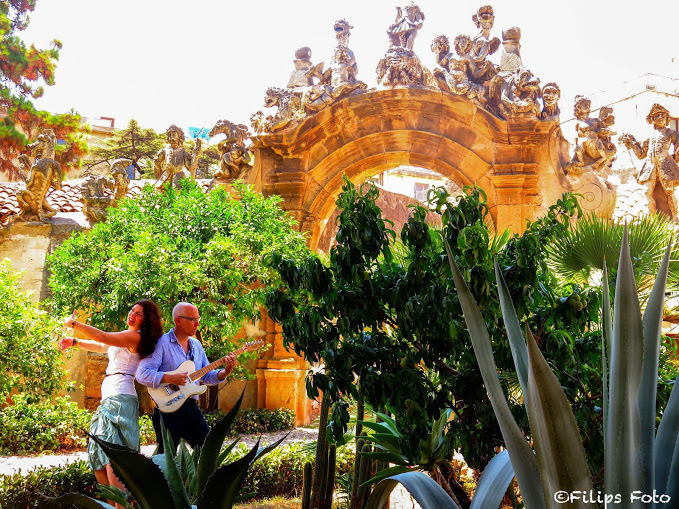 Eclectic, acoustic pop brushed with hues of Mediterranean folk is the avenue on which Villa Palagonia perches—yet the side streets and dusty alleyways that these musicians have traveled offer engaging timbres woven together by songs imparting tales of the old world and the new. Please see ABOUT for biographical information of different lengths. 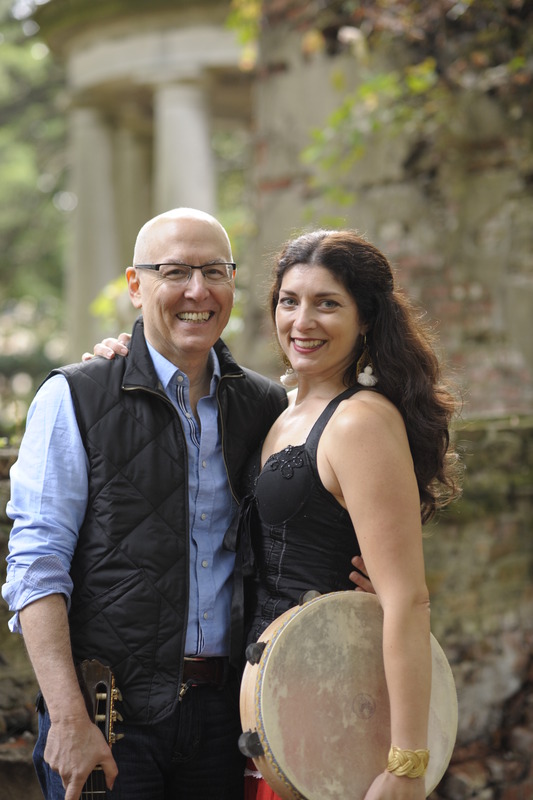 Our debut album, “Rhythms & Roots” was released in March 2016. For more videos, please see VIDEO page. 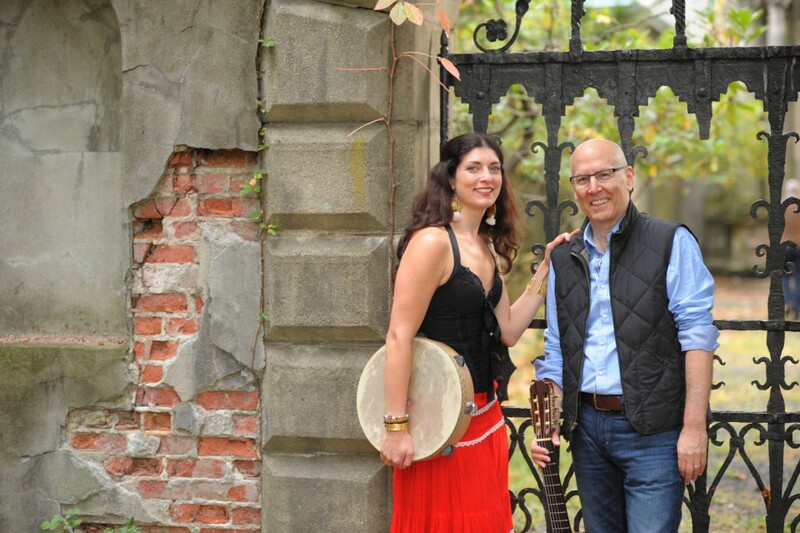 Photos by Jon Saponara. Please click on photo to see large version. 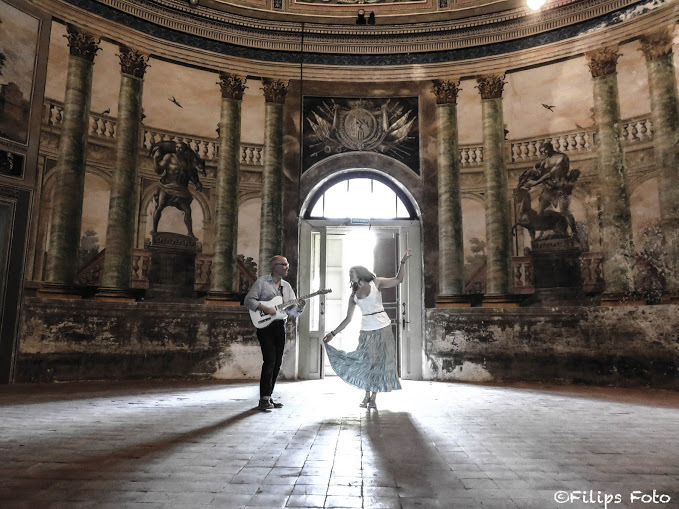 Photos by Filippo Buttitta at Villa Palagonia in Bagheria, Palermo, Sicily.